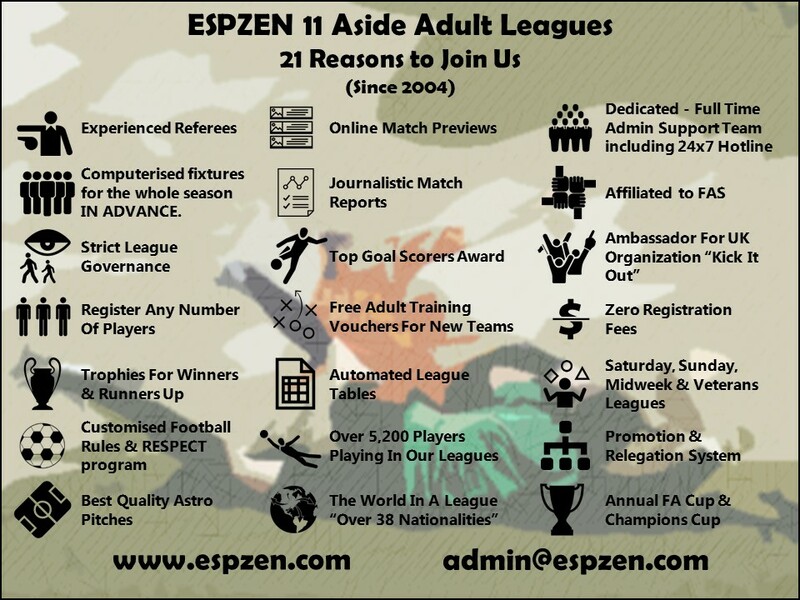 ESPZEN is an organization dedicated to revolutionizing amateur football in Singapore through its amazing interactive website www.espzen.com, developed by MATADOR Systems award-winning Multi-Media Design Team (www.MATADORhub.com). ESPZEN offers a platform for individuals, small and large companies, and social groups, to network and improve their physical fitness while enjoying the world's most popular sport. ESPZEN brings together over twenty years of experience in sports event marketing and management in Asia. 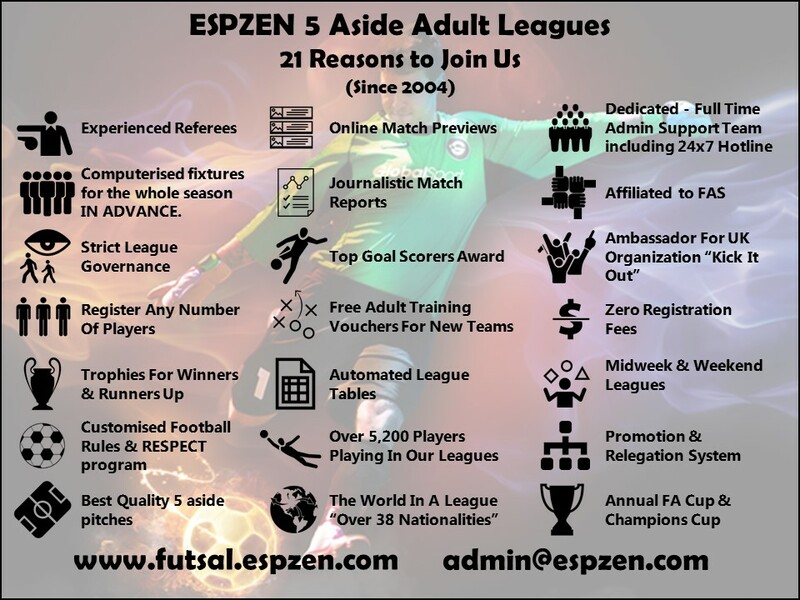 Every member of the ESPZEN organization is an avid football fan and player, and therefore understands the crucial elements required to implement a successful and professional amateur football league or cup tournament. This ensures that participation in an ESPZEN football league or cup tournament rewards every team with an enjoyable, positive, and competitive playing experience.